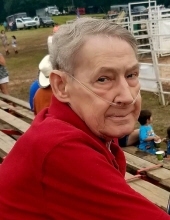 Mr. Larry Danny Beasley age 66, of Carrollton passed away Thursday, November 29, 2018 surrounded by his loving family following an extended illness. He was born January 26, 1952 in Decatur, Alabama son of the late Lawrence Arthur Beasley and Essie Mae Baker Beasley. He retired from the maintenance department of Vision Properties and was Baptist by Faith. Besides his parents he was preceded in death by his wife Dale Raburn Beasley, sister Gloria Faye Robinson, brothers Lawrence “Junior” Beasley and William Ted Beasley. Survivors include his children Matthew Beasley (Ashley) and Jennifer Leann Raburn all of Carrollton, sisters Jean Jones (Jack) of Temple and Tilda Carroll of Gadsden, Al., brother Lanny Beasley of Tallapoosa and grandchildren Lindsay Arrington and Piper Smith. Funeral services will be conducted Sunday, December 2, 2018 at 2:00PM from Martin & Hightower Heritage Chapel with Pastor Joe Darby and Pastor Alan Kirk officiating. Music will be rendered by Gail Pittman. The following gentlemen will serve as pallbearers Wallace Deese, Eli Deese, Jerimiah Clayton, Jonathan Tipton, Darrell Robinson, Jacob Robinson and Thomas Lemley. Interment will follow in the Carrollton City Cemetery. The family will receive friends Sunday from 11:00AM until the funeral hour. In lieu of flowers memorial contributions may be made to the family. Messages of condolence may be sent to the family at www.martin-hightower.com. Martin & Hightower Heritage Chapel of Carrollton has charge of the arrangements. To send flowers or a remembrance gift to the family of Larry D. Beasley, please visit our Tribute Store. "Email Address" would like to share the life celebration of Larry D. Beasley. Click on the "link" to go to share a favorite memory or leave a condolence message for the family.